Need a notecard to go with that gift? 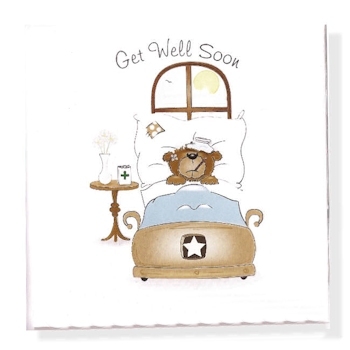 Quality notecard featuring a brown teddy bear sick in bed and the words Get Well Soon above. Blank on the inside for your own heartfelt words. Need a notecard to go with that gift? Quality notecard featuring a brown teddy bear sick in bed and the words Get Well Soon above. Blank on the inside for your own heartfelt words. Includes envelope.